Melbourne is said to be most livable city in the world, and we couldn’t agree more. Exploding with culture and never ending things to see and do, one who visits it will never get bored. Food and coffee are also top quality which is one of the aspects we love about Melbourne and know you will too. Our first stop in Melbourne was Workshop Brothers. 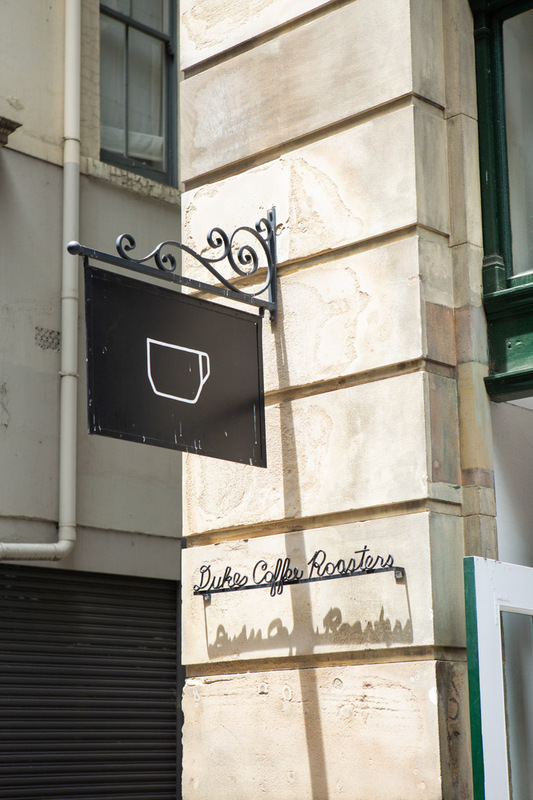 Located in the heart of the city and designed with lots of marble and copper, it is a perfect spot to experience your first true Melbourne specialty coffee. 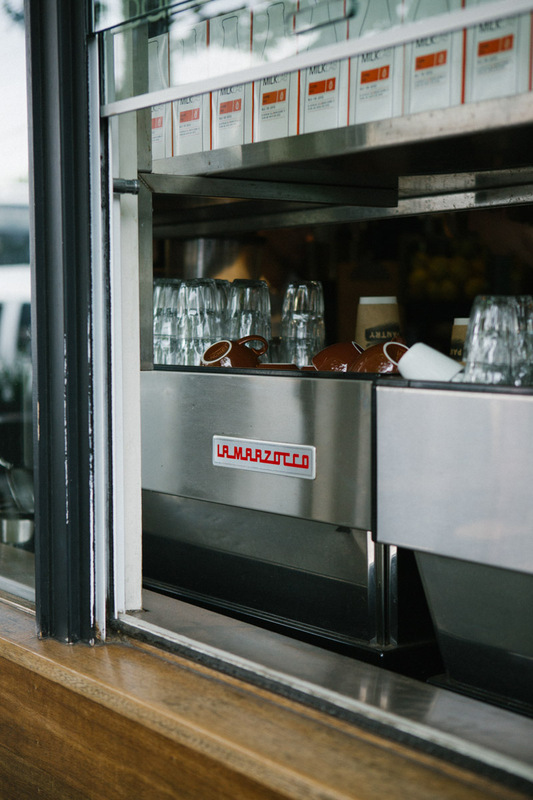 Their values are simple: great food, amazing coffee and exceptional service. Workshop Bros wanted to create something inspiring for their customers as they kept hearing about the way coffee ‘should be’ and not how it could be. They created the term “Love in a cup” which makes you feel the coffee kick and the love. Wake up and make your way into the city and explore Melbourne’s famous Fed Square, one of the top ten public places to visit in the world. See exhibitions in the Ian Potter Gallery, or check out any cultural event that is sure to be happening in the square. Then take a five-minute walk along the bridge that overlooks beautiful Southbank and take a snap of the city buildings over water. Once you’ve crossed the bridge you will find yourself at Melbourne’s biggest gallery space, The National Gallery of Victoria. Enjoy free exhibitions and artworks, then stroll around the garden. There are always different things going on at the NGV and whether you’re an art lover or not, there’s something for everyone. Treat yourself to a tasty morning tea, set in a small but quaint café on Melbourne’s busy Little Collins street. This café serves their own quality specialty coffee and delicious cakes to match. Relax and recharge before setting off to the rest of your city exploring. Visit the iconic Block Arcade, a beautiful 1892 made building filled with various charming boutiques and the famous Hopetoun tea rooms. Feel like you’re in a movie while you stroll through and admire the unique heritage shopping experience and architecture. 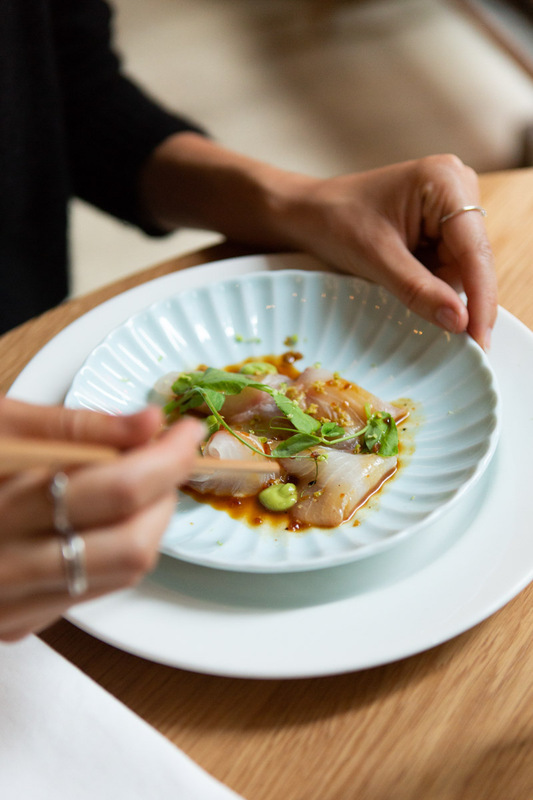 Have lunch at one of Melbourne’s newest favourites, Higher Ground. Serving unique dishes using only fresh produce and specialty coffee to pair. Admire the high ceilings and natural light that floods the room, creating a relaxing and enjoyable experience. Higher Ground has on par trendy siblings: Top Paddock and The Kettle Black, which are also award winning good. Make a visit to The State Library, Australia’s oldest public library. Entry is free and you can explore various rooms and levels. The Latrobe Reading room is a must see and is the perfect place to stroll around or burry yourself in a book. After being nominated for various awards and making the list of the top 50 bars in the world, we decided to go The Everleigh. The bar is located in one of Melbourne’s hip suburbs and has interiors designed from the golden era. Every detail of the bar, including ingredients and service is well thought out and is created to provide an unforgettable experience. All the bar tenders have worked and gained expertise from tending all over the world, and The Everleigh also makes their own spirits. One of our highlights of visiting was when the staff gave us a postcard to write which they would send anywhere in the world! So of course we sent some love to our favourite bar in Milan. 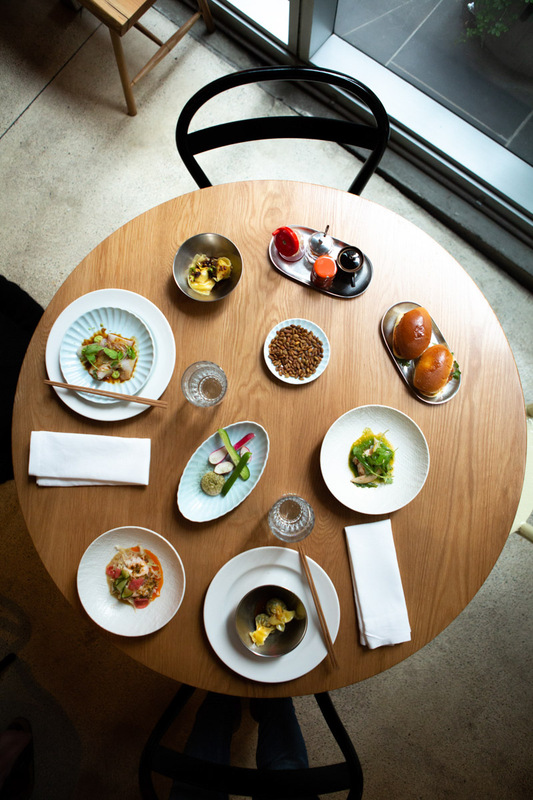 Supernormal, located in Flinders Lane is an Asian inspired restaurant with a long open kitchen and trendy interior. Discover the set menu and be delighted with the quality and flavour of the food. A perfect Melbournian restaurant and memorable way to spend your first night in the city. And remember: The dessert is a must. Located in the beautiful beachside suburb of Brighton, award winning café/ restaurant Pantry is one not to miss. For over 20 years this café has influenced the local culture. Enjoy a meal and coffee while watching people walk past, then take a stroll up Church street to look at some iconic Australian brands. 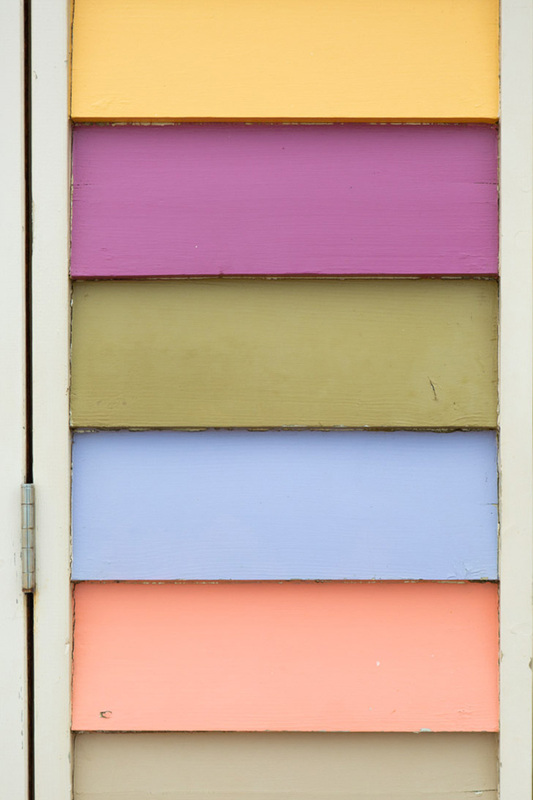 After you’re full of good food, make your way to Brighton Beach where you will find the famous colourful beach boxes. Each one with a different colour way or pattern. Be sure to have your camera ready for some snapping of this fun view. Then walk back along the beach and soak in the sun and sand. Make your way to Ripponlea where a beautiful estate is kept in pristine condition. Discover the historic stories of the house and the families that lived inside. Stroll through the magnificent garden that today is a common location for weddings and events. 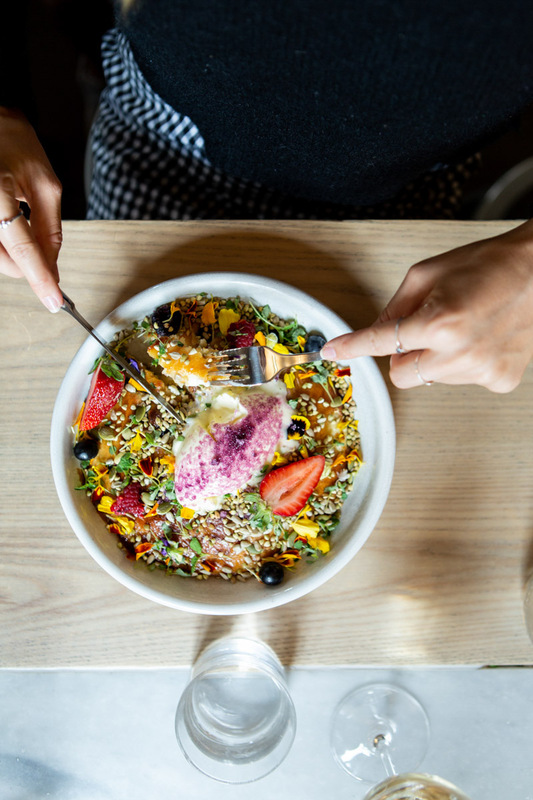 Owned by the same people as Higher Ground, this café is another of Melbourne’s best, offering a delicious menu and freshly roasted coffee from their own roastery. Top Paddock has an upbeat environment and is located in a beautiful area among many shops. 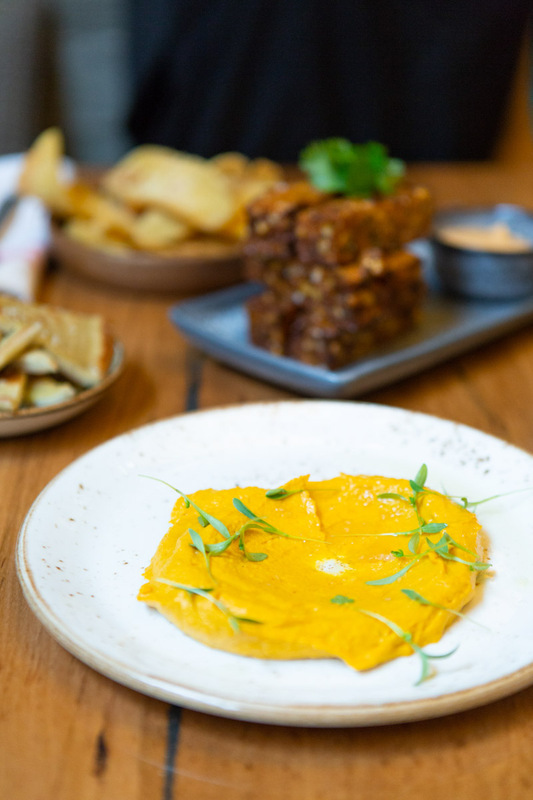 Only one suburb away from the CBD, relax and enjoy your meal before heading back into the city. 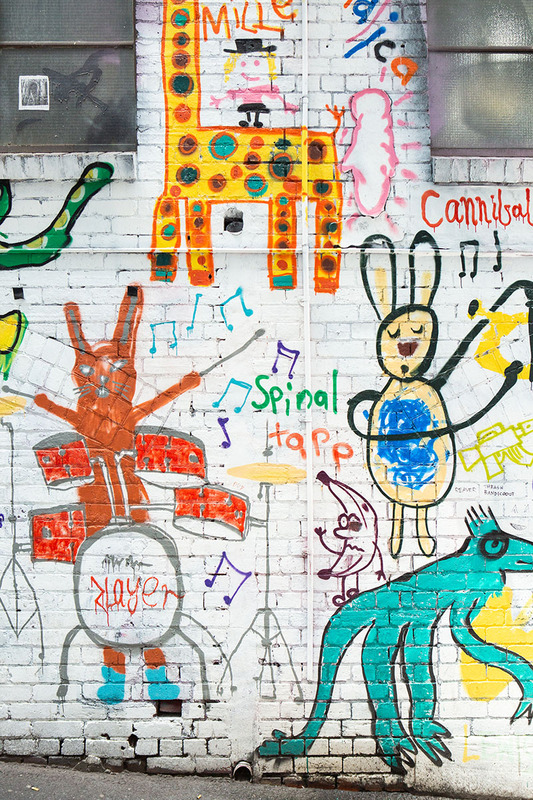 Make your way back to the CBD and explore the laneways full of colourful street art. Walk down a cobble stone laneway noticing different artworks everywhere you look. Amerce yourself in what is one of Melbourne’s biggest attractions and don’t forget to take some pictures! Hosier Lane, AC/DC Lane and Duckboard Place are said to be some of Melbourne’s best. Then walk across to the famous Degraves Street lined with restaurants, coffee shops and creative boutiques full of products made by local artisans. Head over to Transformer for dinner where they offer a vegan menu and only serve top quality dishes. Enjoy the set menu and fill yourself up with the delicious and one of a kind food. Transformer is an ex- warehouse with brick walls and well thought out interiors, creating a unique and lovely dining experience. 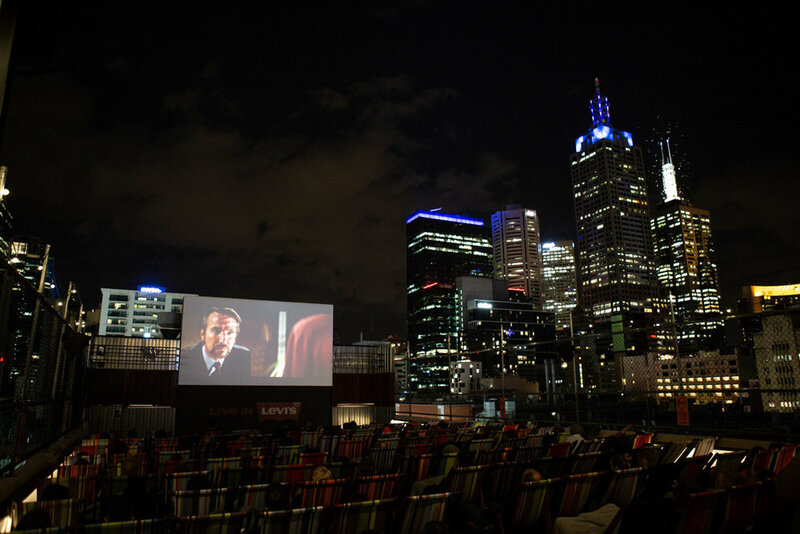 To finish off your 48 hours in Melbourne, make it memorable by visiting the Rooftop Cinema, an open-air cinema that overlooks the city skyline at night. Sit under the stars while enjoying a drink and snack and if you find yourself a bit cold, blankets are available for rent too. Melbourne has many secret bars but Eau De Vie is one of the best. Enter through the bookcase of a restaurant or an unsigned carpark door and experience some of Melbourne’s best cocktails by a talented mixologist. The bar is dim lit, intimate and the perfect place to sip on an afternoon drink.